Photorejuvenation has been shown to correct a variety of skin conditions including facial blemishes, birthmarks, broken capillaries, rosacea skin rash, age spots, sun damage, pigmentation, freckles, fine lines, enlarged pores, and stretchmarks. IPL Photorejuvenation stimulates the production of collagen and elastin, giving instant skin tightening and up-lift without the need for invasive treatments or cosmetic surgery. The faster the frequency of the vibration the more shallow is the wave penetration. So at 3 million vibrations per second the penetration is ideal for the face and eye area, unless the skin is extremely thin and fine around the eye, in which case 5 Mhz would be best for that area. Effortless and painless exfoliating massage helps remove dead skin cells and oil, helps soften lines. Creates more collagen and elastin; skin gains more and more flexibility, allowing creases and crow's feet and other kinds of wrinkles to simply disappear. Provides a facial slimming and lift-up look. Ultrasound has to be used with a conductive gel or gel-like skin care products to ensure 100% ultrasound wave absorption. 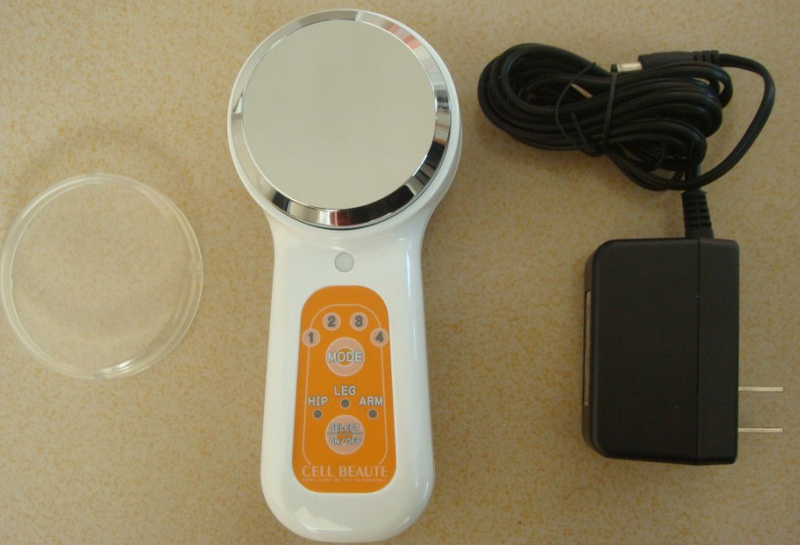 Ultrasound waves disturb intercellular water connections and open the channels for active components to penetrate into the dermis. Ultrasound massage of 3 MHz provides deep cellular massage ideal for the face and increased skin absorption abilities. Ultrasound massage promotes skin cellular renewal and repair, increases blood circulation, encourages lymphatic drainage, reduces puffiness and swelling, plumps up and smooths out fine lines and wrinkles. Ultrasonic frequency tightens sagging skin, fades dark eye circles, freckles and age spots. Positive ion can clean the skin, soften dirt adhering in the deep part of pores, and make the pores comfortable quickly. Negative ion can replenish nutrition. The effective negative ion can make the nutrition penetrate into the dermal layer and subcutaneous tissue, so as to realise the effect of whitening and renovation. The Photon Ultrasound machine will automatically switch off after 15 minutes. If more photon ultrasound ionic therapy is to be used the same session then the next and last 15 minutes should use a different colour which includes the calming and cleansing effect of blue or green. Usually just one session per day, or even just 3 days a week, is all that is required to begin to see and feel the difference. Certifications / License: CE/FCC/UL	email Carla if you have a special request.